“Jutsu” is the culmination of solo training (tanren), digging deep into one’s body, an unshakable foundation developed over hours of training and innovation. 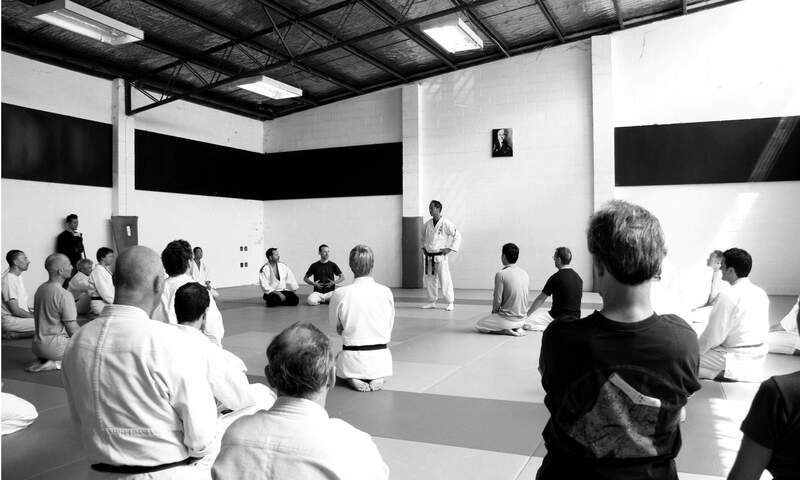 The very heart of bujutsu lies in the harmonizing of the experience, intuition, and internal/external body balance gained through the process of developing jutsu. Bujutsu is not a complicated affair. It is very simple. However, simple does not mean “shallow”. What looks simple on the surface is governed by many fine tuned movements on the inside. “Jutsu” of the body is making all the fine tuned movements of each part on the body come together as a unit in a single instant. You must not get bogged down on the “shape” of things in practice. I also strongly believe that you should not create a method that is set in stone. Bujutsu itself is the ability to use the body in any situation, any environment, and as such is the embodiment of change. This means that training must be tailored to yourself by endless trial, error, experimentation, and adjustment if you want to understand the true essence behind movement. At its base, “Jutsu” is simply the knowledge of a person embodied within him. As such, it is subject to constant change. Unless you understand your own deficiencies it is impossible to cultivate yourself. This cultivation is necessary if you wish to grasp what bujutsu is about. In a sense, the deepest secret of bujutsu is in realizing that your bujutsu is dependent the unification of your mind (the ability to innovate on your own, not because someone told you to do so, or instructed you), and body (the forging of the body) through tanren which you continue for as long as you live.